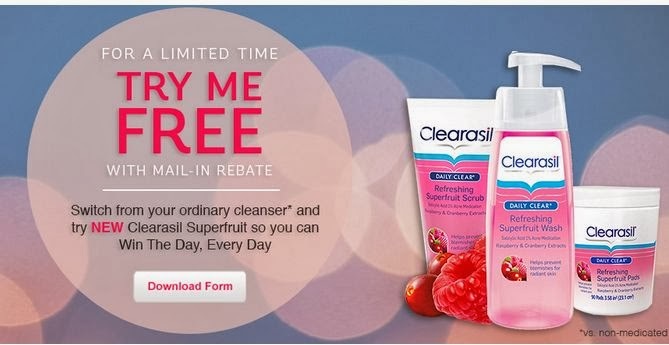 To try Clearasil for free just click the link below to go to the Clearasil website to go download the rebate form. This free offer is by rebate you buy the product then send your rebate in before 3/31/14 to get your money back. I am not really that crazy about rebates but you never know some of the best products are found just because you tried them on a rebate offer. If you use the Clearasil products here is your chance to get a few bucks back.